CLEMENTINE a floral vintage print cotton throw blanket. 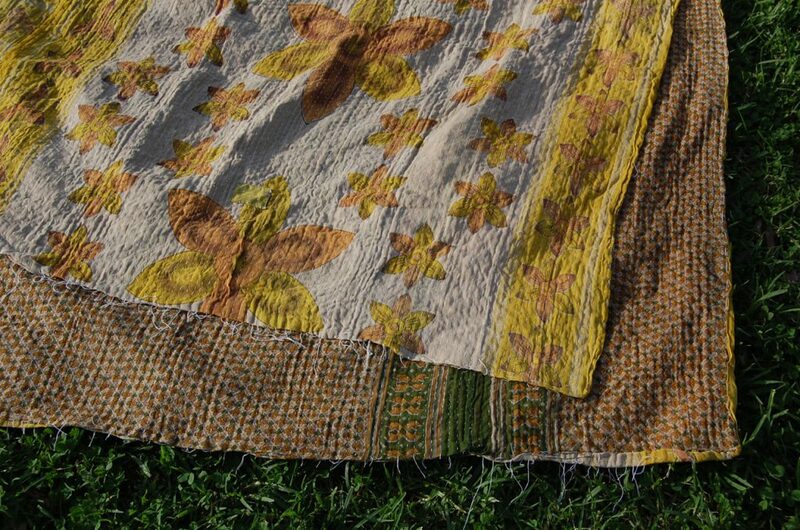 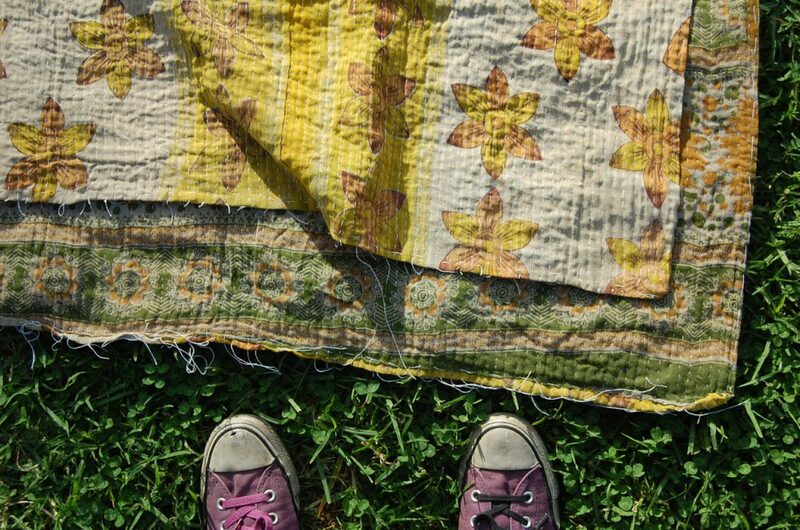 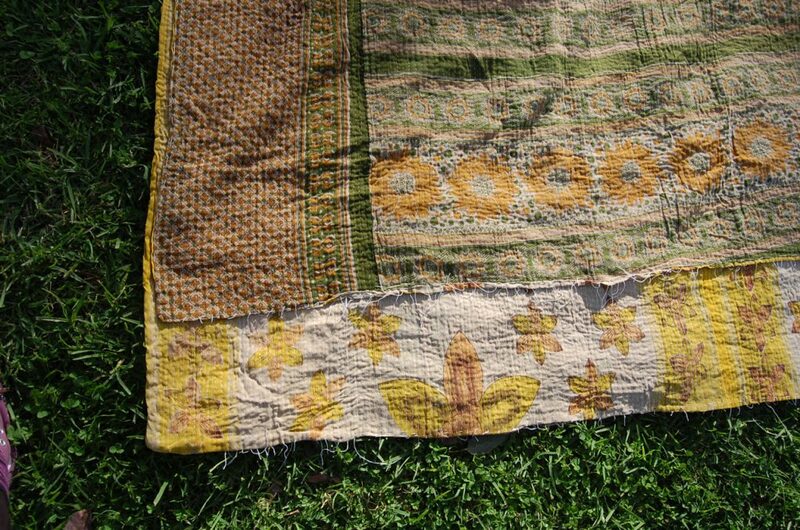 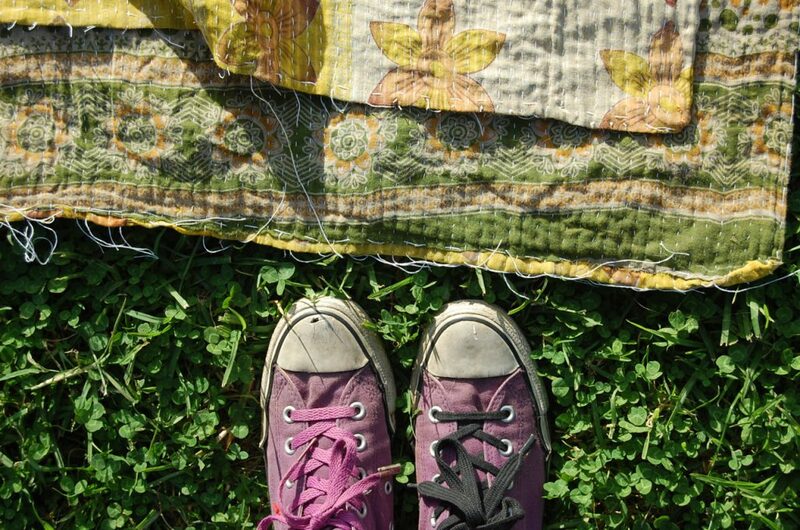 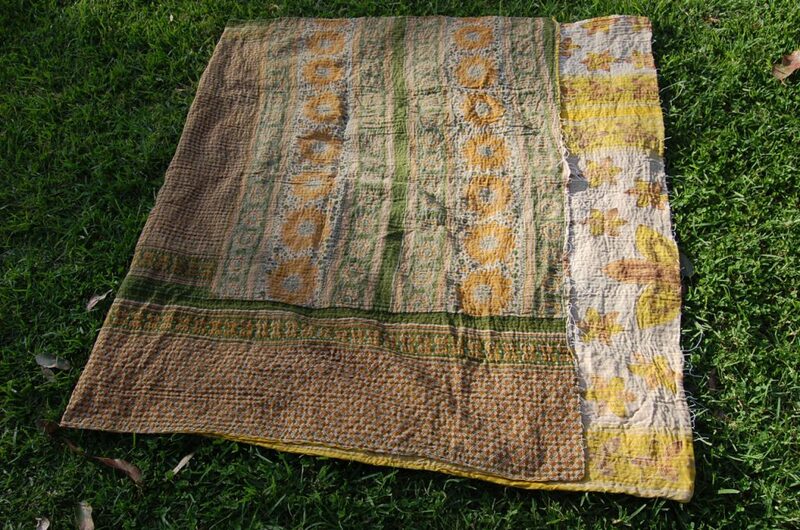 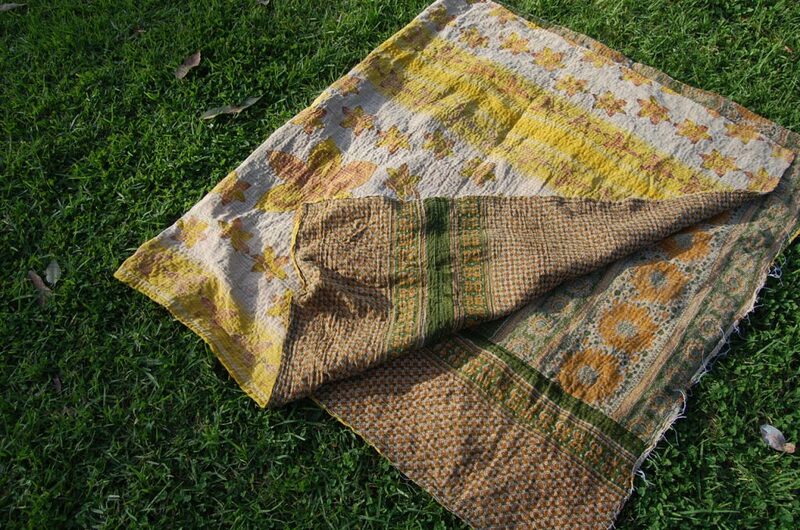 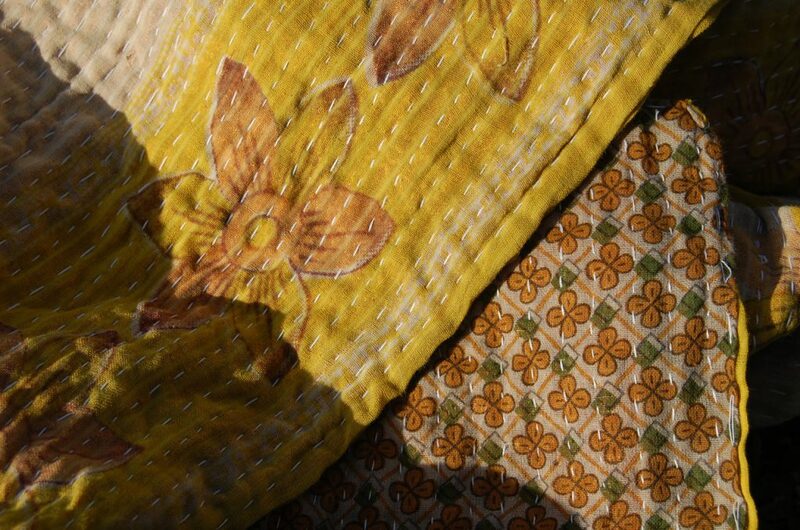 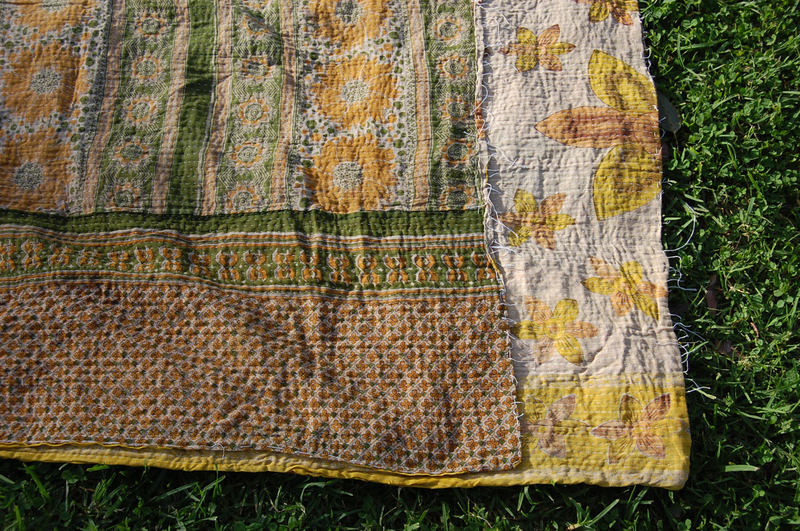 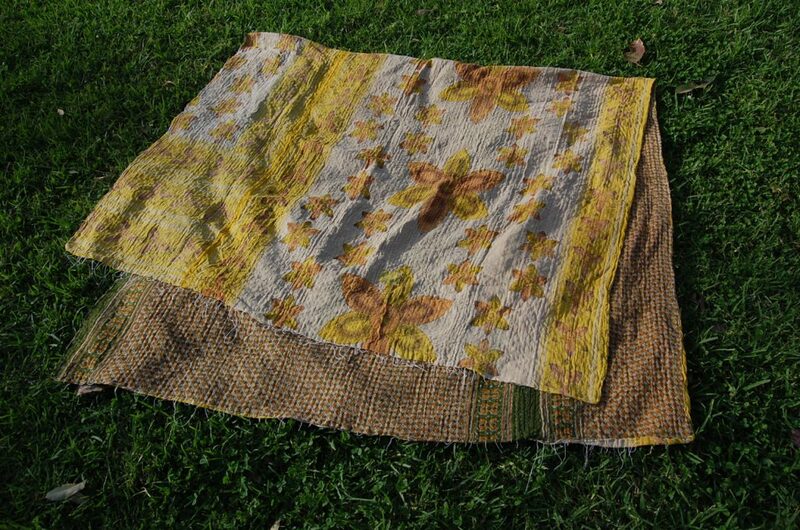 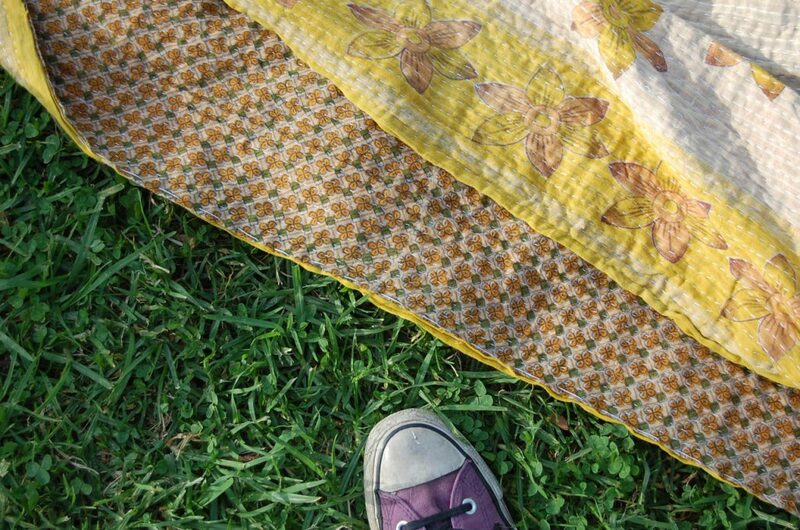 Delicate yellows, olive and orange with tan and clay – a beautiful light weight kantha made with natural indian dyes. 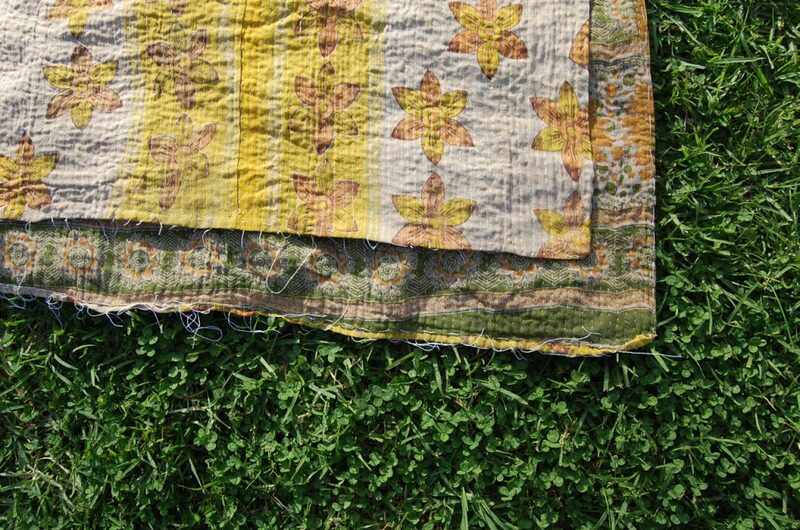 Magical and wonderful like a dream.